Soft, textured, and oh so simple. 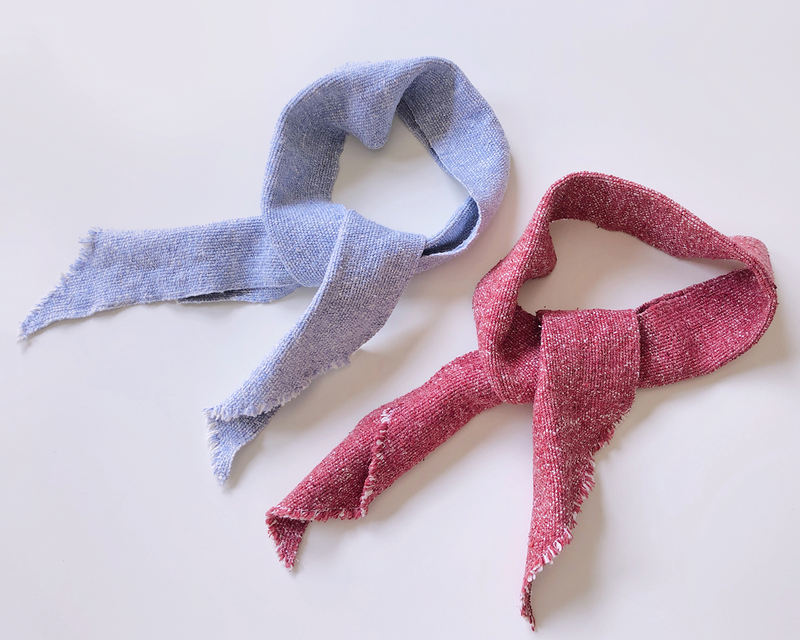 These elegant silk noil neck scarves by Emma Rhodes are designed to be woven on a floor loom OR a rigid heddle loom. 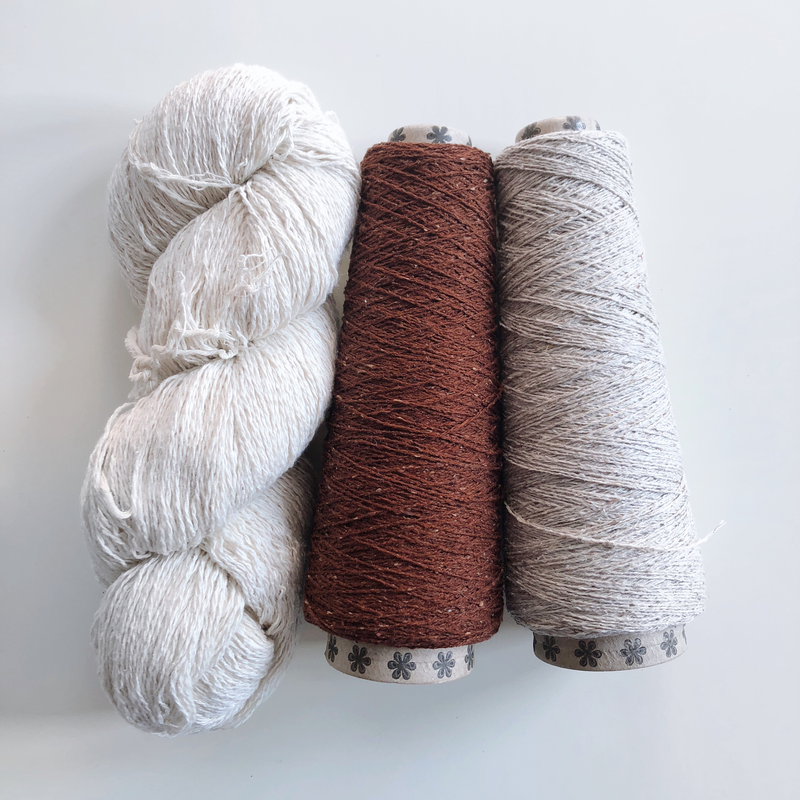 Our Treenway 10/2 Undyed Silk Noil and Japanese Silk Noil yarns weave together beautifully and become even softer after washing and wearing. Whip up this silky duo over the weekend and wear them on your neck, wrist, hair, or purse. 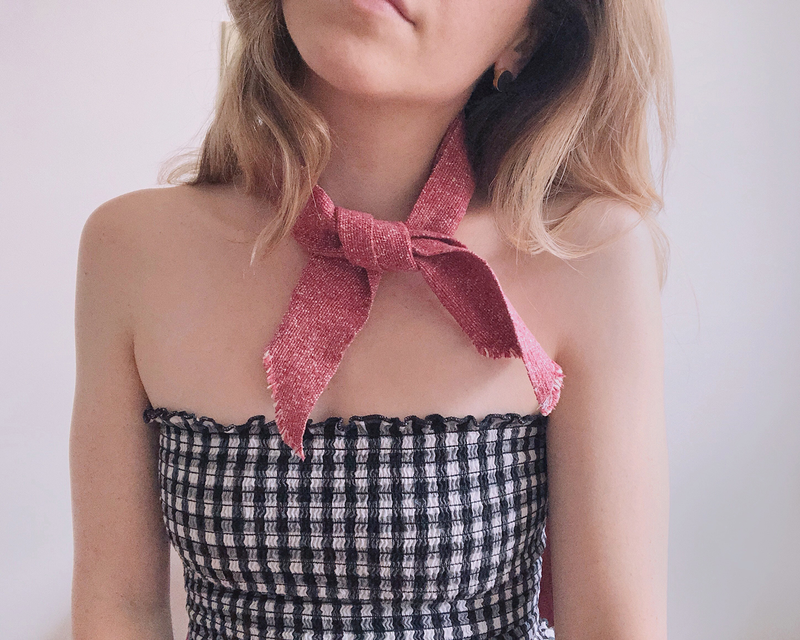 Below you will find all the instructions and materials needed to make a pair of neck ties to complement your wardrobe. 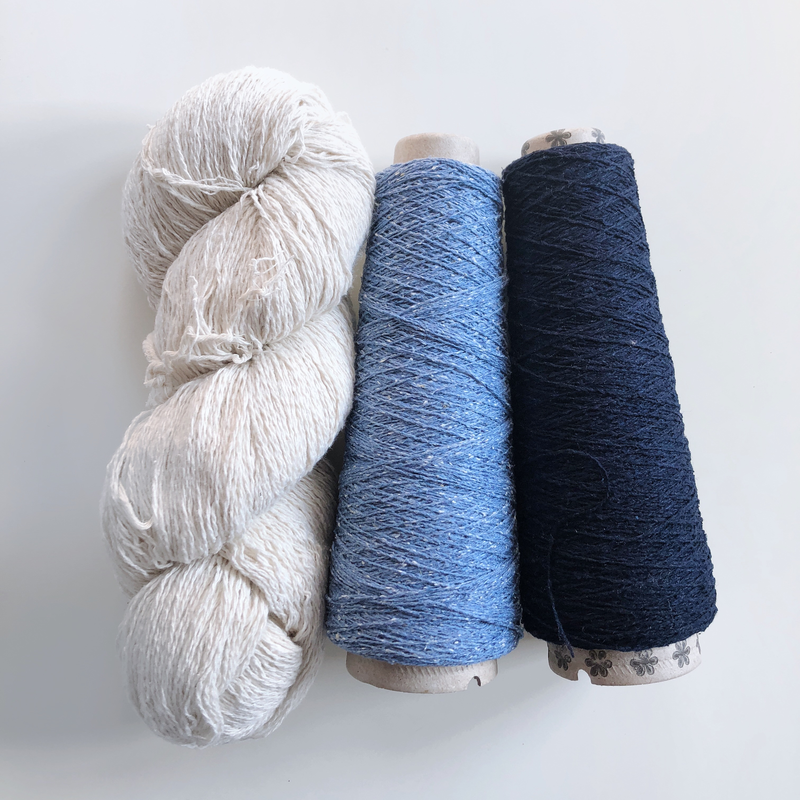 Kits: Each kit contains enough yarn to make 2 neck scarves (+there is plenty of extra yarn so you can make more). 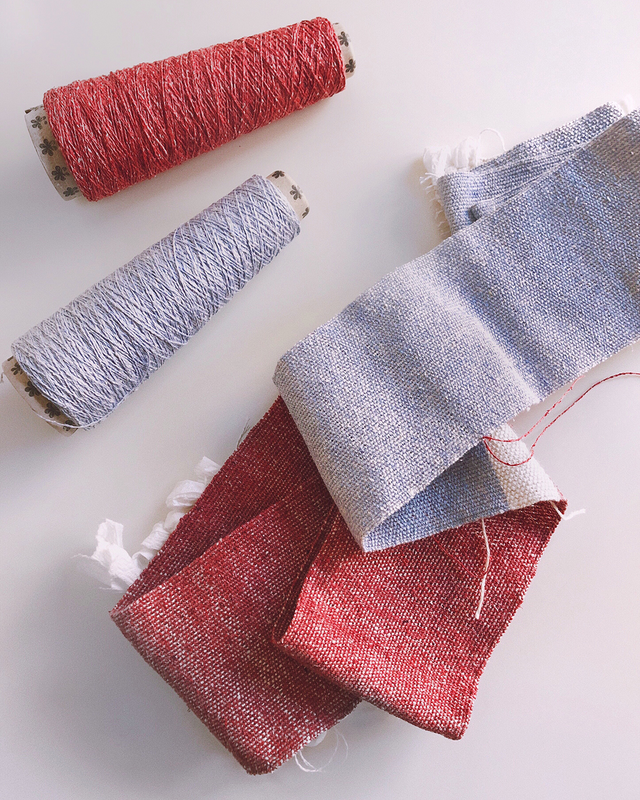 Emma wove one of these scarves with Japanese Silk Noil in Chili Pepper as the weft and the other with Japanese Silk Noil in Salvia Blue as the weft. See more color suggestions below or choose your own. 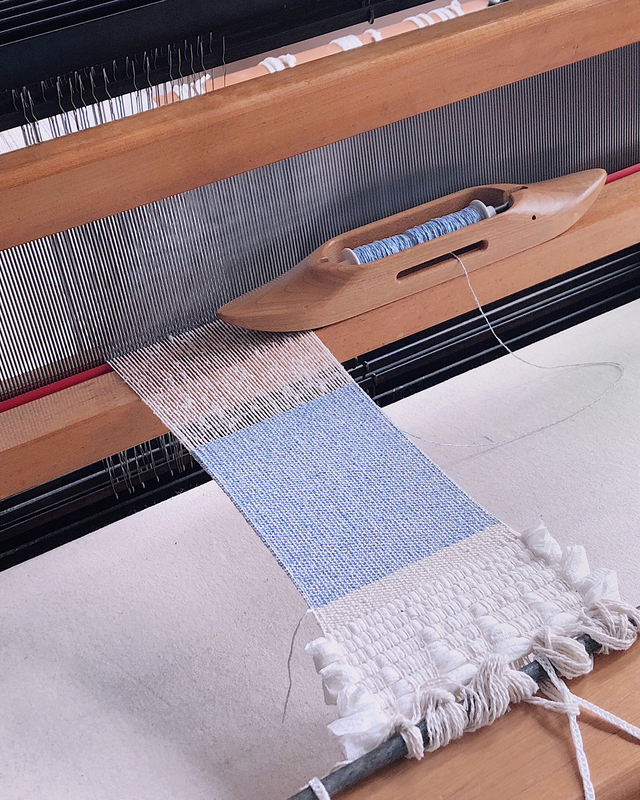 Length measured under tension at loom: Each scarf should measure about 40-43" under tension. 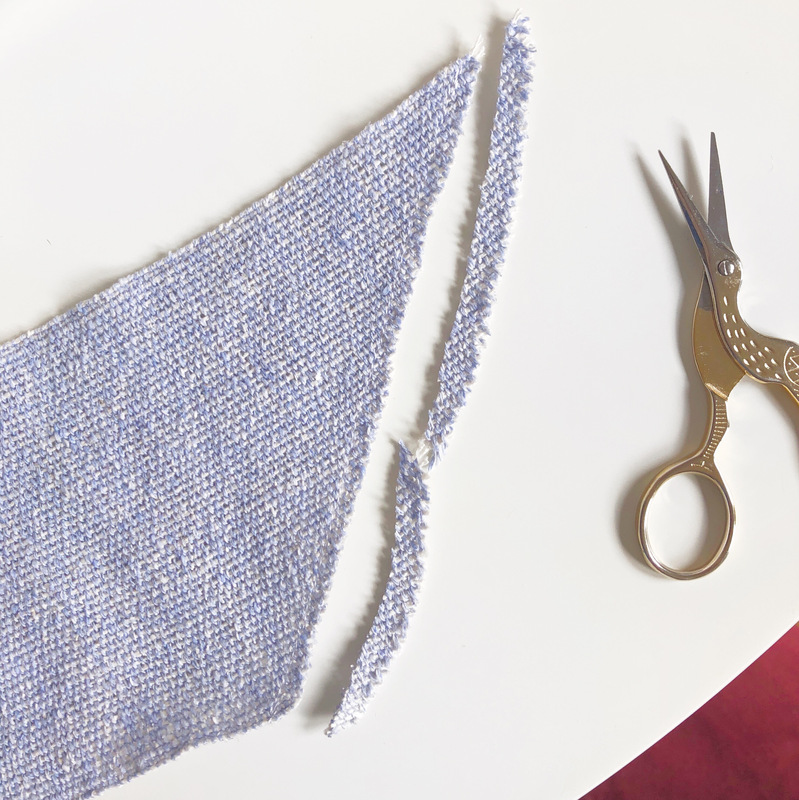 Make sure to weave about 1/2" - 1" with scrap yarn at the beginning and end of each scarf for spacing. 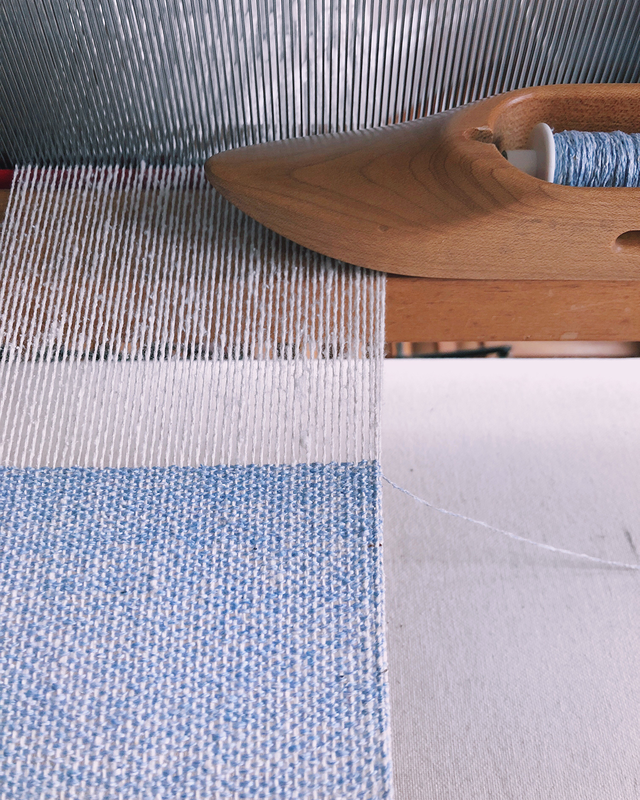 Emma writes: "I have an 8 shaft loom but I still find myself drawn to plain weave again and again. I love how the simple structure compliments the nubby texture of the silk noil. 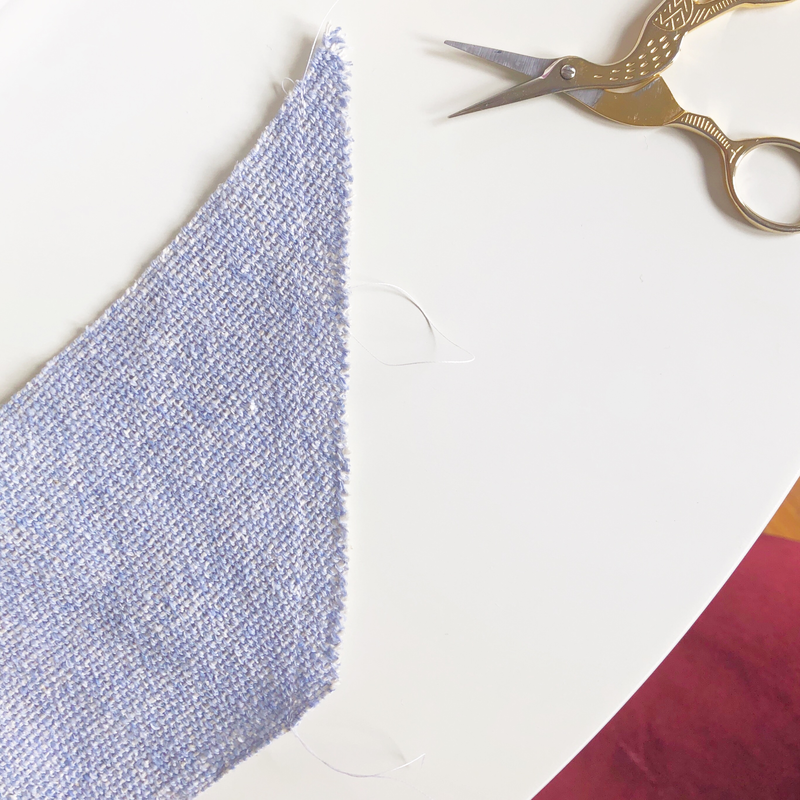 Cut scarves apart in the center of the scrap yarn spacer. Fold one end over on the diagonal so that it creates a triangle. 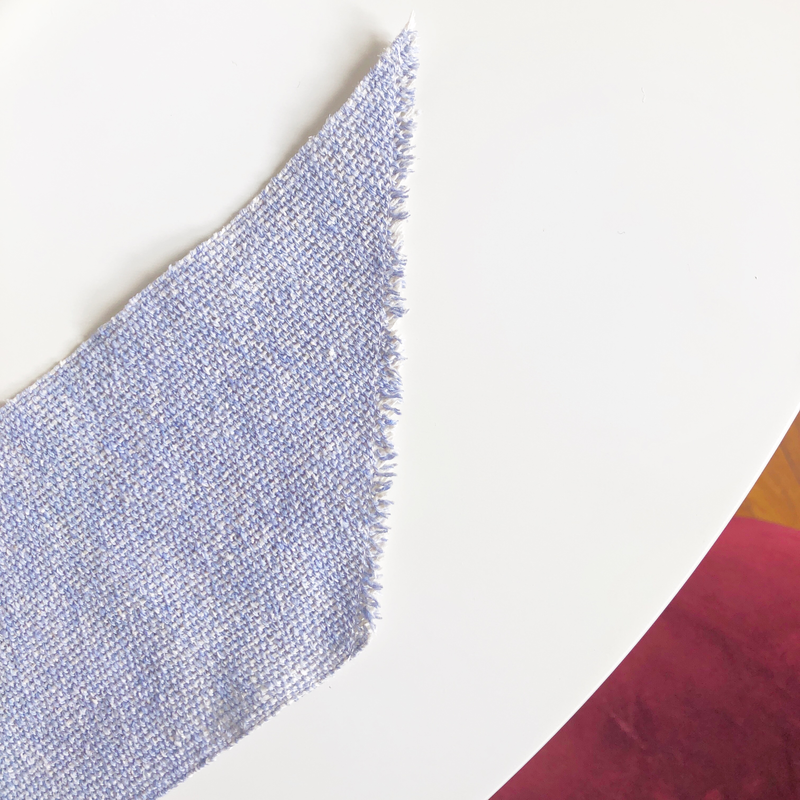 I lined up the edge of the scarf with the selvedge to make sure it was square. Cut along the crease to create a raw diagonal edge. 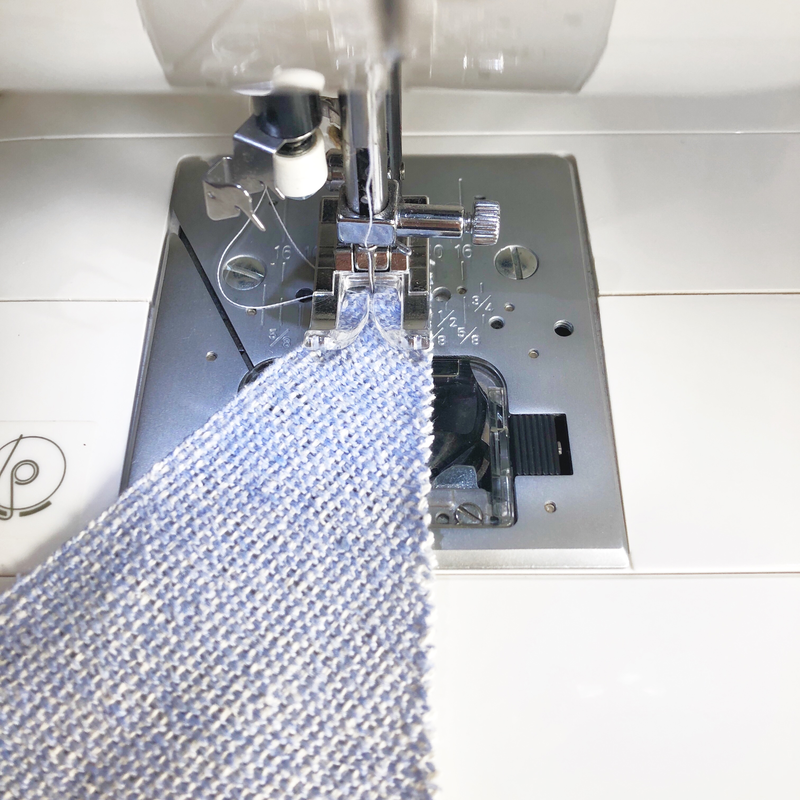 Set up your sewing machine for a fairly small stitch. I set mine to about a 4 on the dial and adjusted the tension accordingly. 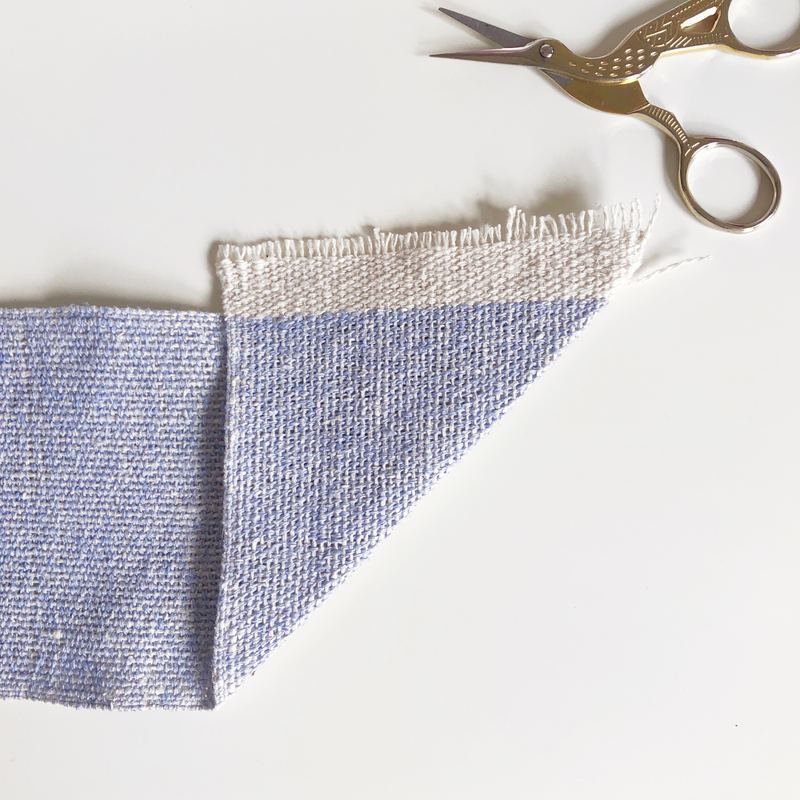 Do some tests on the scraps of fabric cut from the ends of the scarf. Line up your raw edge on the 3/8" hem line on your sewing machine. Straight stitch down the diagonal edge. 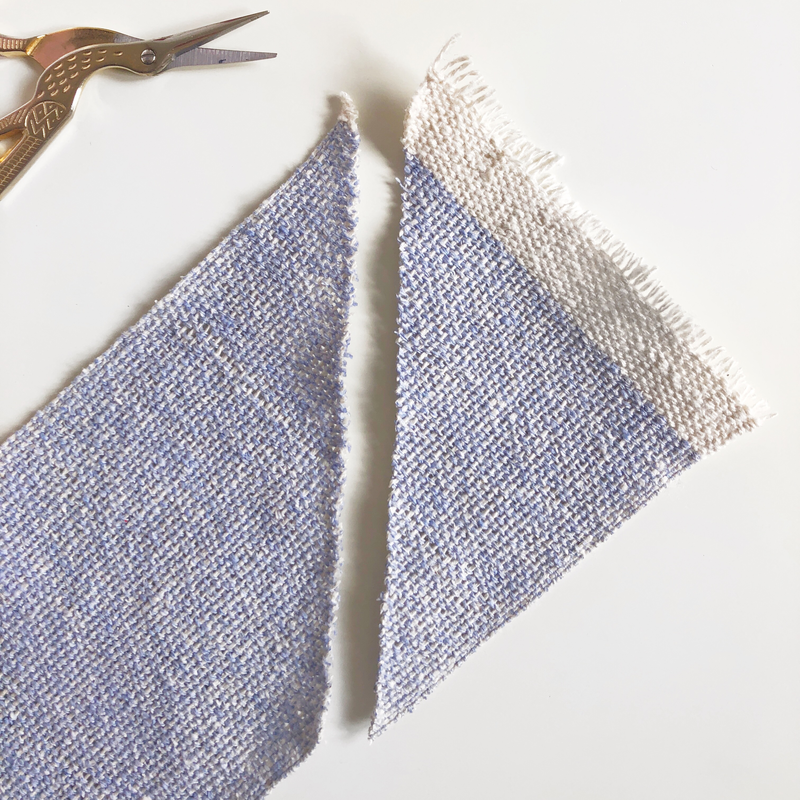 Use back stitch at the beginning and end to secure the stitches. Trim the raw edge a bit closer to the stitched line and fluff the fringe a bit to bring out the frayed edge. The stitches are hardly noticeable! 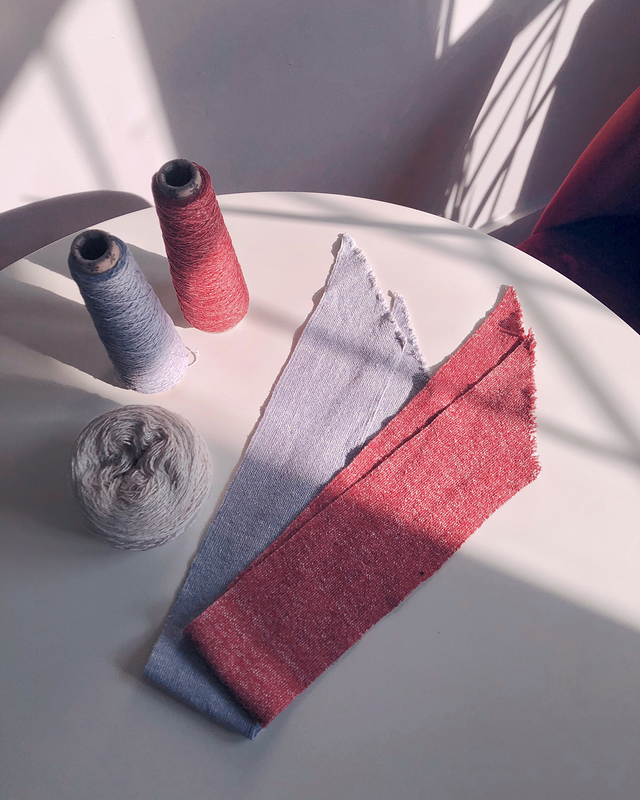 Repeat on each edge for both scarves. 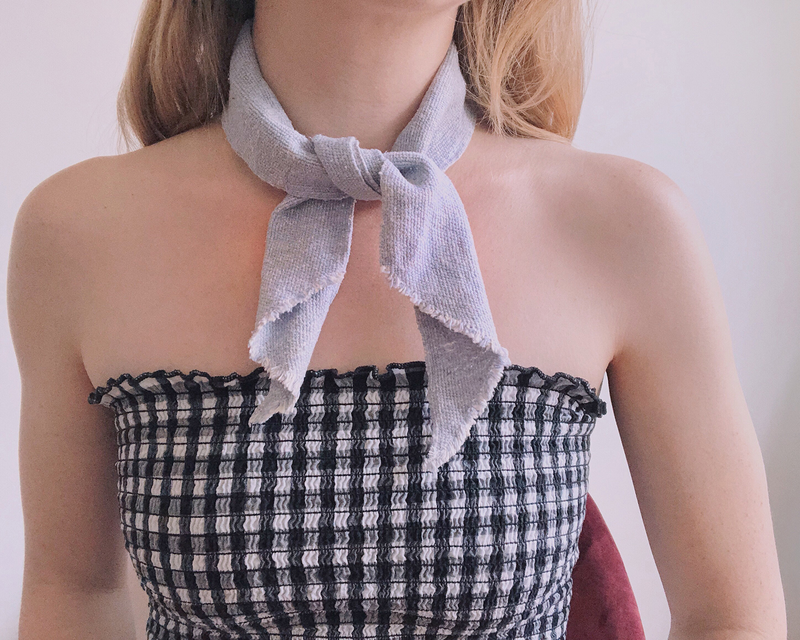 Wash and air dry your scarves. Press with a warm iron and lots of steam. 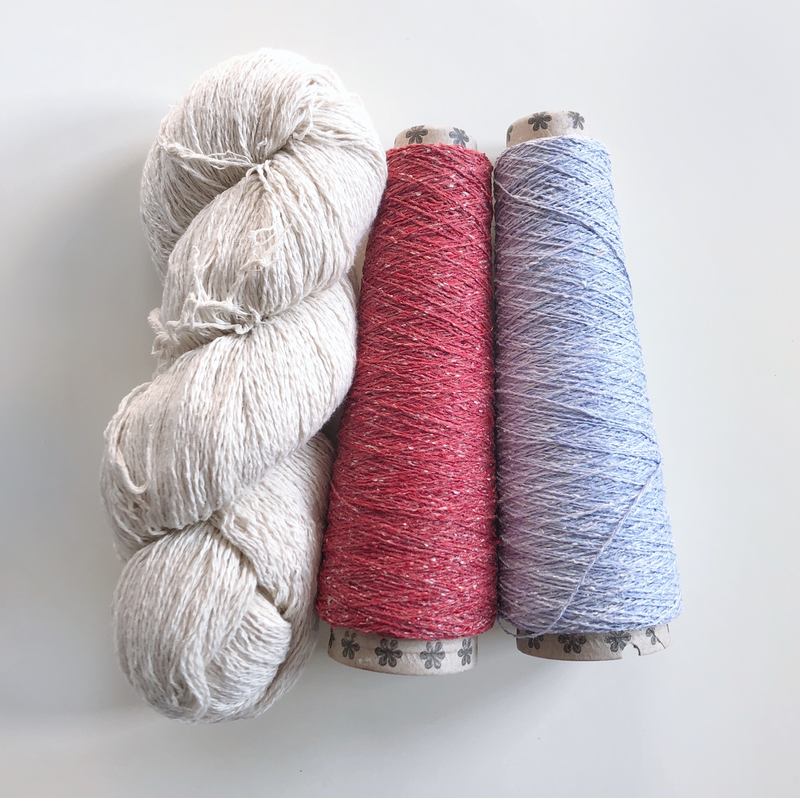 I found that washing and ironing made a huge difference in the softness of the fabric."